Classic top down arcade shooter Steel Storm is all geared up for release of Steel Storm Episode 2 'Burning Retribution'. The game is available to pre-order and users will get access to beta build as a bonus. 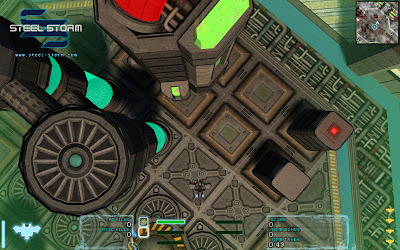 Steel Storm Episode 1, released in October last year, is highly popular among Linux gamers because of its addictive gameplay and rich 3D cel-shaded graphics. Steel Storm Episode 1 made into the Top 100 indie games for the year 2010 in a contest announced by IndieDB. The game is also available on Desura. The game will be released soon and is available for pre-order. Pre-order price is $9.95 while once released (date yet to be announced), price will go upto $14.95. Visit Official Website for more information.